There’s something transportive about stepping onto the Pearl Street Mall. The smell of garlic (thanks, Pasta Jay’s) and fresh-brewed coffee (thanks 1,000 coffee shops per square inch). The mash-up of random buskers on their drums, guitars, trumpets and violins. And the shops. Pearl Street is our guilty pleasure place in Colorado to shop. 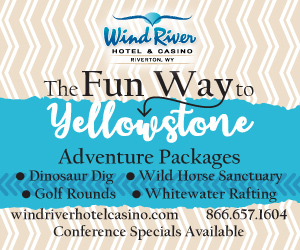 Whether you’re hunting down an unusual treasure to take home, an unforgettable gift, some outdoor gear to accompany your next adventure or a new outfit, Pearl Street has you more than covered. This mall spans many blocks with so many shops that it can be hard to narrow down for newbies. Lucky for you, we’re shopping pros and single-handedly spend enough money on Pearl Street to keep the shops in business. Here’s where we blow our dough. 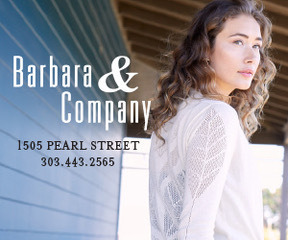 Our most fashionable Pearl Street shops are all locally owned, to ensure the authentic Boulder flair. No chains on this list. 1. Violette, 1631 Pearl St.
Violette is a fantasyland boutique for women and girls, where the most beautiful things live: bows, pearls, sparkles, satin, elegance. Violette’s specialty is its incredible selection of dresses, from casual sundresses to wear to the Boulder Creek to the perfect cocktail dress for a fancy dinner at the Flagstaff House. This small shop only has a few of each style and is reliably fashion-forward. The prices are middle of the row, too. Not cheap, but not designer level. You can also find an impressive selection of accessories to pair with your outfit here. The beautiful dressing rooms make the shopping experience all the more special. 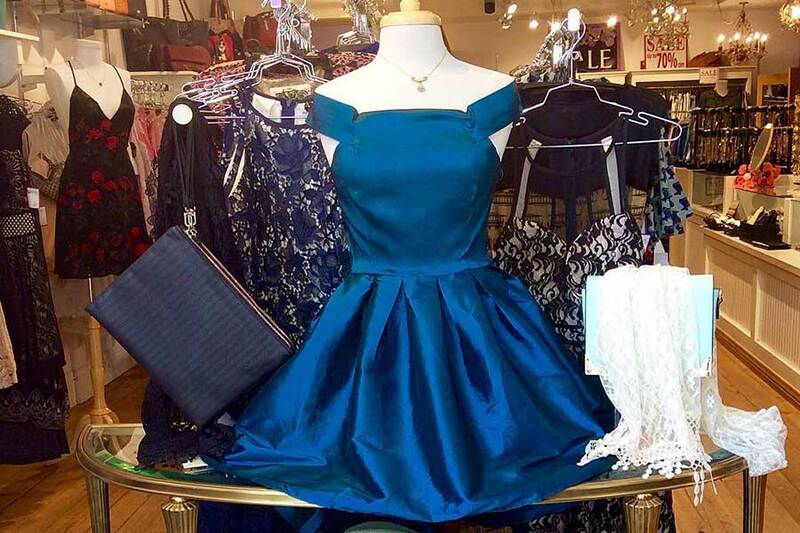 Violette is our go-to when we want to commemorate a special occasion with a special outfit. 2. Bliss, 1643 Pearl St.
Don’t shop around; this is where to go for gifts. Bliss has an ever-evolving and ever-surprising stash of cool gifts and goodies, from paper wares (great cards) to jewelry to home decor. In the winter, we love Bliss’s collection of ornaments and holiday decorations, plus cozy slippers and bathrobes and cute throw pillows. Year-round, Bliss offers a selection of plants and greenery to warm up your abode. Artwork and accent pieces here are each unique and enticing. You can’t go wrong at Bliss. This locally owned store features quality local artists mixed in with impeccably curated international designers. 3. Cedar and Hyde Mercantile, 2015 10th St.
Cedar and Hyde is not directly on the Pearl Street Mall, but it’s just one block to the north and well worth the extra 30 steps. 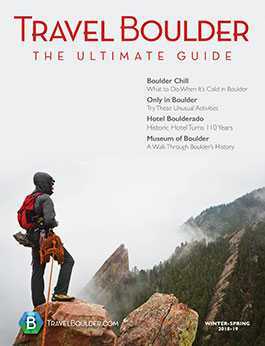 It’s one of the hippest places to shop in Boulder. Everything here is smartly selected for being amazing, especially its clothes for men, women and children. One thing that makes this sister-owned shop so cool is the stories that come with every product. Ask staff about the designers and their inspiration, and chances are, they’ll know. This makes shopping here a full experience. Look for timelessly fashionable clothes to pair with repurposed and quirky accessories, plus fresh-cut flowers, cotton Japanese towels and much more. This isn’t a budget shop, and if you follow designers, you may recognize some of your favorite names here. Cedar and Hyde truly knows how to select its home goods, the kind of stuff you can’t walk away from. Only shop here if you want to fill your suitcase with delights. Because you can’t not. 4. Chelsea, 1646 Pearl St.
Chelsea has been a Boulder fave for more than 15 years and has even earned a national reputation as an incredible, locally owned women’s designer boutique. This small but powerful shop is a no-miss place to find contemporary women’s clothes, shoes, jewelry and more. In addition to excellent designers, such as James Jeans and Adina Reyter, to just name a few, you can also find high-quality locally made jewelry at Chelsea. Because quality is a focus here, expect designer boutique prices, but don’t let that deter you if you’re traveling on a budget. Chelsea holds incredible sales and its sale rack can score you clothes of your dreams for dream prices. 5. Classic Facets, 942 Pearl St.
It’s hard to narrow down our favorite Pearl Street jewelry stores because this single street boasts some of the best in the state. From artsy to designer to antiques to worldly, you can find accessories for any style and price point on Pearl. But Classic Facets wins our heart. 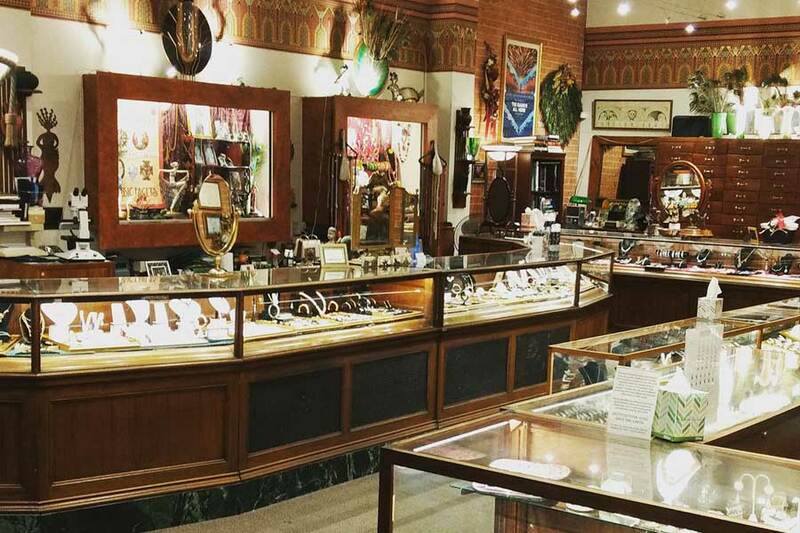 This is one of the best antique jewelry stores in the state (more than 28 years old and going strong), and its selection of thousands of antique treasures dating all the way back to the 1700s makes Classic Facets feel like an art museum. It’s thrilling to browse the glass cabinets of more than 20,000 unique, historical and one-of-a-kind wearable works of art. Every day is exciting; you never know what you’ll find. Classic Facets even carried jewelry that used to belong to Hollywood star Mae West. The bracelet, necklace and watch were beyond stunning, but what made them especially notable was their history. As the story goes, West sold four of the largest gems in the necklace during WWII to raise money to help defeat the Nazis. 6. Installation, 2835 Pearl St. Installation Shoe Gallery is almost too cool to share. Like we want to keep it on the DL so it’s preserved as the hip, slightly off-the-wall, urban-ish wonderland that it is. But we’re swallowing our desire to hoard Installation all for ourselves and are begrudgingly sharing its glory. Sneakers. Kicks. Trainers. Athletic shoes. That’s the specialty here. This is where sneaker fanatics go to get the next level up. Not the standard mall chain store selection, but the rare, special shoe scores for the die-hard sneaker fiends. These kicks are hand-picked by experts (sneaker-lovers themselves) and there’s only a limited number, so if you see a shoe you love, grab it, because it probably won’t be there for long. See why we were reluctant to share? First come, first served. We call dibs. 7. Island Farm, 1122 Pearl St.
Island Farm offers effortlessly chic clothes and home goods. This shop is inspired by the ocean (hence the name), so expect beachy tones of light blues, off-whites, tans, faded wood and exposed brick. The blend of nostalgic, vintage treasures adds charm and character to modern, fashion-forward but cozy attire and jewelry. It’s like the perfect, clean, organized flea market, except with plenty of new items and with everything carefully curated by the owners so you don’t have to do the hunting yourself. It’s like they found all of the most amazing things ever made, past and present, and filled a single store with them. Although inspired by the ocean, which Boulder obviously lacks, the artsy, creative, playful yet stylish fusion of Island Farm somehow makes it embody the mountain energy of Boulder. Any fashionable Boulderite won’t be surprised to find Nod & Rose on a best-of list. 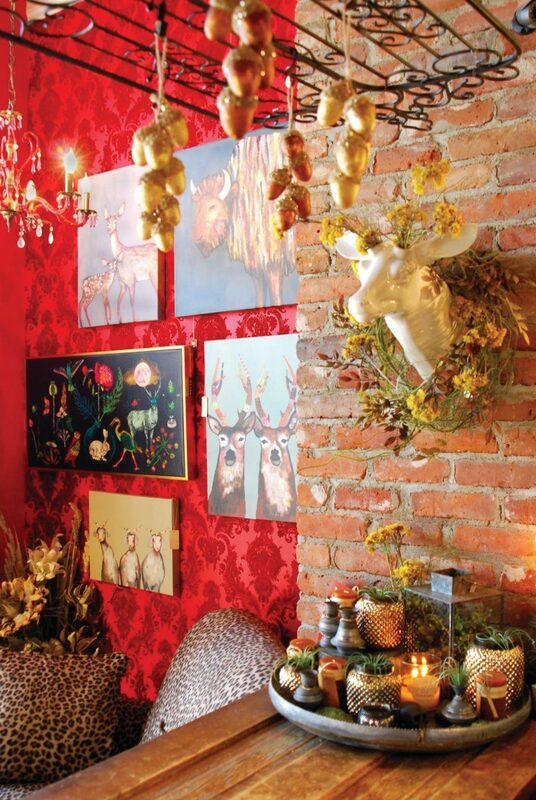 The style of this husband-and-wife boutique is indisputable. Even though the style is perfectly on point here, you won’t find stuffiness, arrogance or a pretentious hipster vibe. At all. Nod & Rose is super chill, friendly and fashion-forward, but in a relaxed, oh-so-Boulder way. 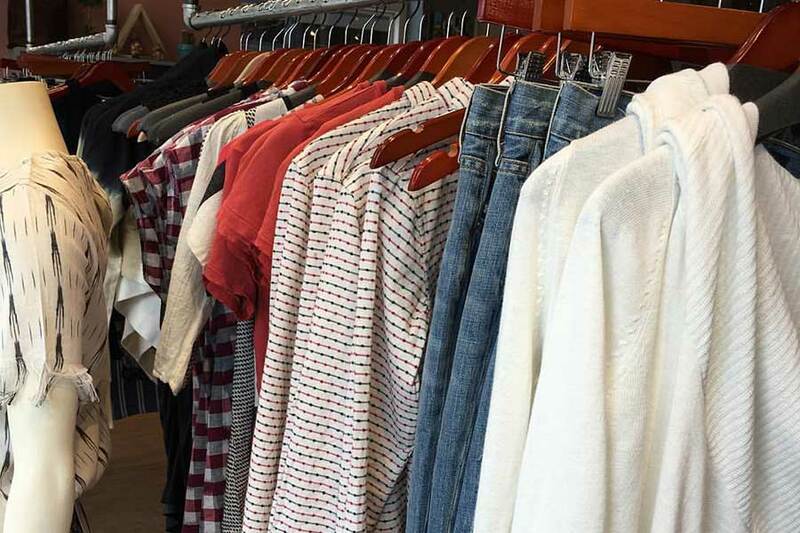 The racks here carry some of the coolest emerging designers (always on rotation) from the west to east coasts, for both men and women. While Colorado gets teased for being behind the trends of bigger coastal cities, Nod & Rose is right there at the front as a style leader. 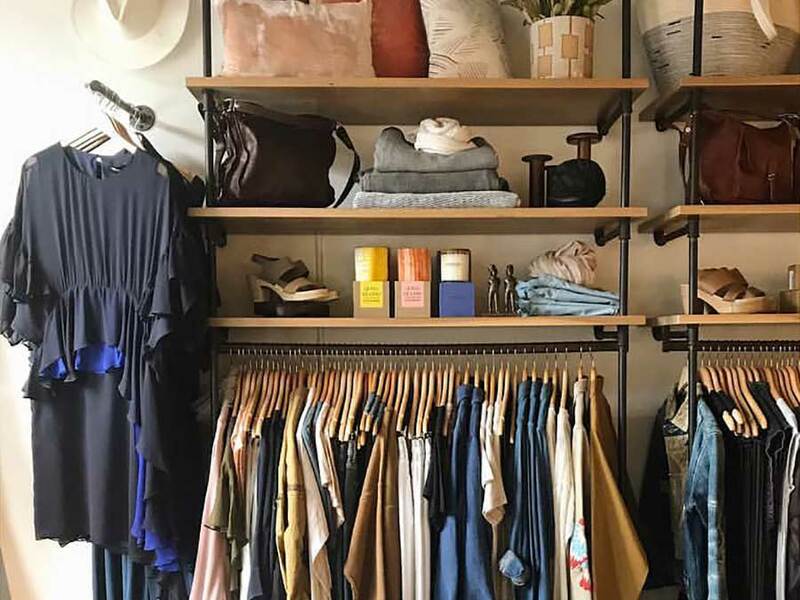 Nod & Rose raises the bar on Boulder’s style and puts Pearl Street on the map for savvy shoppers. But without the ego and intimidation. 9. Ramble on Pearl, 1638 Pearl St. There are many reasons to shop at Ramble. Noble ones, too. First, Ramble’s selection is an outlet where you can find discounted, high-end, lifestyle clothes and accessories from reputable brands. If that’s not reason enough, Ramble is actually run by a nonprofit that trains and hires people with developmental disabilities. It provides them work experience, while your purchases raise money for the apprenticeship program. 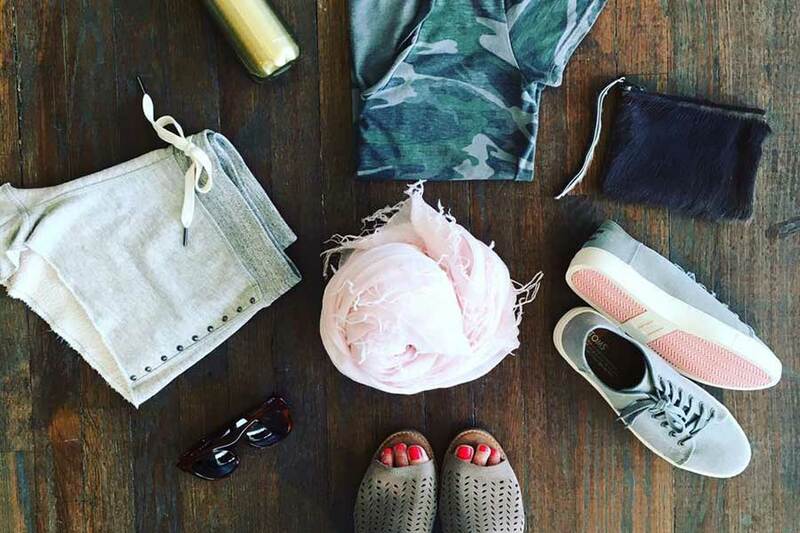 This store concept is unique in Boulder and makes shopping — for cool active clothes, nonetheless — serve a greater purpose. 10. 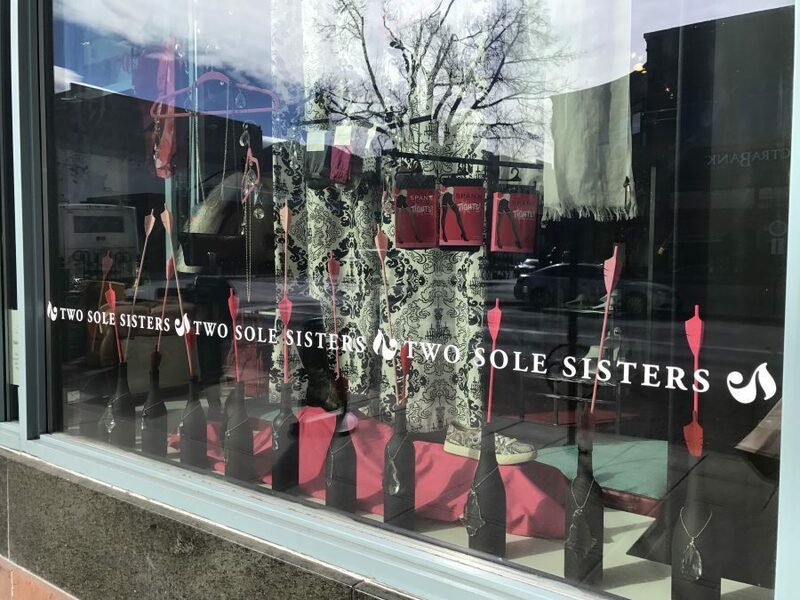 Two Sole Sisters, 1703 Pearl St.
Shoe shops come and go, but Two Sole Sisters has been our favorite independent shoe boutique for years. You will find fashionable, hand-picked, unique shoes, accessories and bags here, in a small but bold shop run by two local sisters. Customer service is top of the line here. One goal: to show that fashion and functional comfort can exist in the same pair of shoes. Look for brands that stand by that mission, such as Chie Mihara and Fly London. 11. Max, 1177 Walnut St.
Max is not technically on the Pearl Street Mall, but it’s close and fashionable enough to deserve a mention. If you’re shopping on the mall, this is worth the small diversion. Max is a high-end store that carries more than 100 designer brands. How fashionable is Max? Fashion icon Diane Von Furstenberg celebrated Max’s 20th anniversary in 2011 with a sold-out fashion show. You can also find Max branches in Denver and Aspen. Goldmine Vintage closed a few weeks ago.